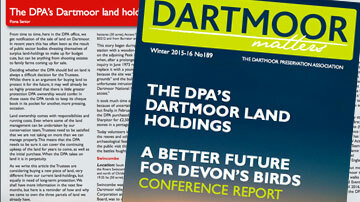 Wednesday 10th January saw many DPA members heading for Exeter to attend the official opening and Private View of the new Dartmoor: a Wild and Wondrous Region exhibition at the Royal Albert Memorial Museum and Art Gallery, more commonly known as RAMM. 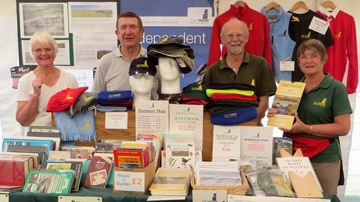 Our Chairman, Norman Cowling with DPA member and regular volunteer, Hilary Luce. 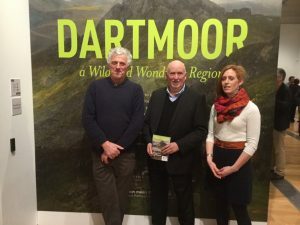 The DPA is a sponsor of this exhibition and has organised several of the accompanying activities, for members and also non-members who would like to learn more about how Dartmoor has been depicted in art through the centuries. 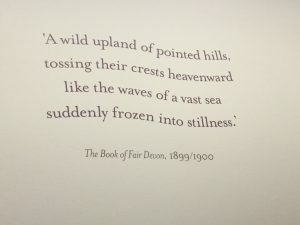 An interesting description of Dartmoor. Those of us who have been working with RAMM on these events were also getting our first view of the pictures at last. The exhibition does not disappoint! 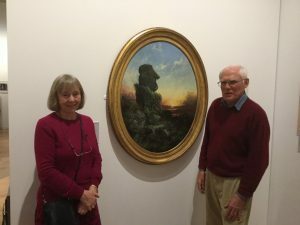 From the earliest painting, by George Lambert of Moorland Landscape with Rainstorm 1751, to the early 20th century postcards and railway poster Dartmoor has been represented in many different ways. 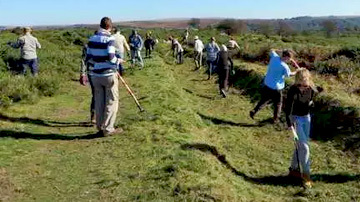 The changing perception of the moor, from wild waste to tourist destination show the way our relationship with Dartmoor has changed over the years. 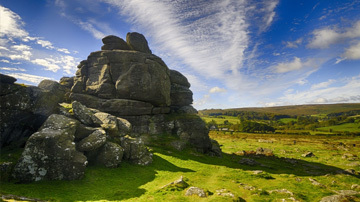 This is a once in a generation opportunity to see such a large collection of Dartmoor landscape images from the RAMM collection, numerous art galleries around the UK, including the Tate, the National Museum of Wales and Leeds City Art Gallery as well as from private collections. We are delighted and proud to be associated with it. Do make the time to visit if you possibly can! DPA Director, Phil Hutt, with Emma Stockley of MTMTE and Phil Collins, HLF representative.